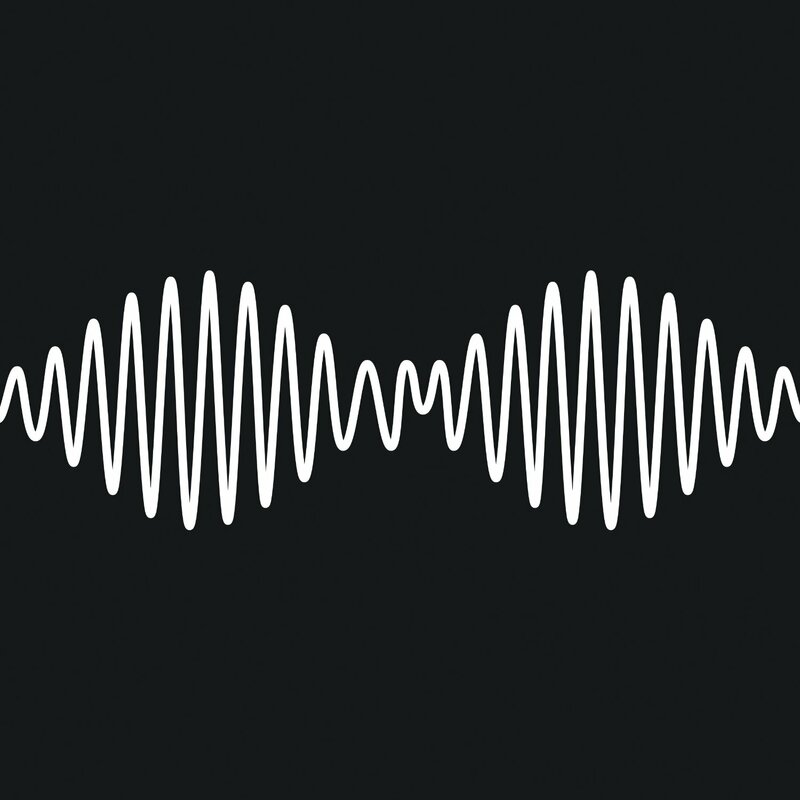 It's only been a two year hiatus for Sheffield's Arctic Monkeys, as they return with their fifth studio album AM. There's a comforting familiarity from the off, as the first track is 'Do I Wanna Know? ', which was the first single to be released. It's a laid back little number, laced with guitar played with attitude. It doesn't kind of get under your skin as much as you would like though, which is a shame. 'RU Mine' is more like it. It's a raw, tidal wave of noise that's a joy to wash over you. And yes, it was a single too. It's classic Arctic Monkeys, which, let's face it, is all we want to hear. There's a nice atmosphere to 'One for the Road', tinged in an unhealthy darkness as it is, but it's let down by a semi fluffy chorus and some dodgy woo hoo's that do nothing more than annoy. It sounds as if it has potential that just isn't fully realised. Drums. Echo-y guitars. Echo-y vocals. 'Arabella' is a homage to seventies rock and certainly works on that level. It's a different direction for the Monkeys, and not necessarily an enjoyable one. The guitar riffs just about save it though. That seventies vibe continues with 'I Want it All'. A wall of guitars surround some rather flimsy vocals by Turner. It's a wedgy of a song and is uncomfortable to listen to as it sounds. Another slowy. Yawn. It's increasingly difficult to stay awake with this album and the dreariness of 'No.1 Party Anthem' isn't helping. It's like late Beatles, and not in a good way. The title is ironic right? OK, we get that, but besides the clever wordplay, where's the punchy hook? Where?! Someone may have to give us a dig in the ribs to get through this one. We're losing the will to live here. 'Mad Sounds'. Dull. Safe. Dull. Thank God. There's some energy about 'Fireside' at least. Sadly that's all it's got going for it. Its repetitive percussion is just a noise that prods in your ears. Turner is singing some stuff about summat, but it's just all blah, blah, blah at this point. Ooh this sounds interesting. OH OK, it's yet another single 'Why'd You Only Call Me when You're High'. It's got a minor groove on, but the truth is, it's nothing special. Which seems to be the mantra for this album, sadly. The Guitar in 'Snap Out of it' is ever so slightly reminiscent of Queen's 'Flash', which is something. It has melody that doesn't instantly send you to sleep, but at the same time, is far from inspirational. 'Knee Socks' is nearly the end, but sadly not there soon enough. It's a fairly soulful track, but just doesn't have what it takes to impress on any level. OK, least you guys can go out on a rock high, right? Right? Wrong. Turner tries some of his trademark cheeky lyrical banter, chatting as he does about Ford Cortinas and vacuum cleaners and such. 'I Wanna be Yours' is yet another slow number. Painfully slow. It attempts to be soulful, but with Turner's fun turn of phrase, it sounds like a parody song, but Weird Al Yankovic has nothing to worry about just yet. A truly disappointing ending to a disappointing album. There used to be a real kinetic energy to the Arctic Monkeys, but in their obvious aim to re-invent their sound, they've completely lost what made them great in the first place. Maybe it was a genuine naivety around their first couple of albums that made an impression. This album, much like the last, just sounds like it's taking itself far too seriously, despite some lyrics to the contrary. Perhaps hanging out and performing with the likes of Josh Homme has tainted the Sheffield band. They had a defined sound, that was loud and cheeky and fun, but now for the most part, it pours out in a homogenised goo. They aren't a band, like many, where you would expect the singles to be the best tracks on the album (not just the most commercial), but that's sadly the case here. AM seems such a way off from Whatever People Say I Am, That's What I'm Not and the direction they've headed off since then, just isn't as interesting to listen to. It's neither bold nor cocky, which were two staples of their earlier stuff. This is just turgid and, well, just turgid. What's needed, urgently, is a return to their roots. Enough of this fannying about with new sounds, it just doesn't suit them.